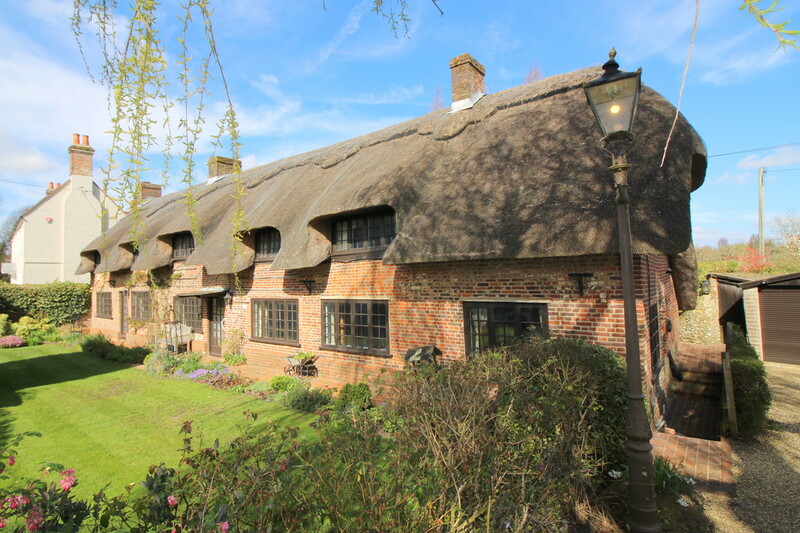 A substantial Grade II listed thatched village house, set on a good plot in the centre of this popular village just 1.5 miles from Alresford. 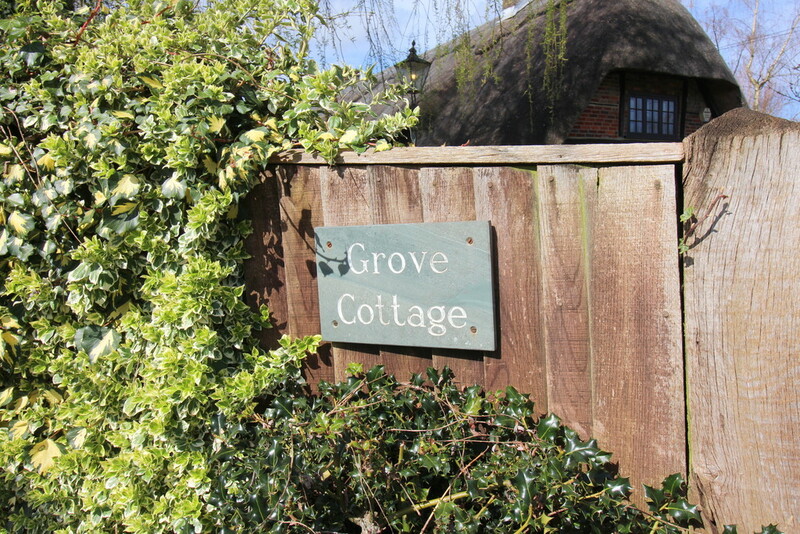 The cottage retains an abundance of character features, which include inglenook fireplaces and beamed ceilings. 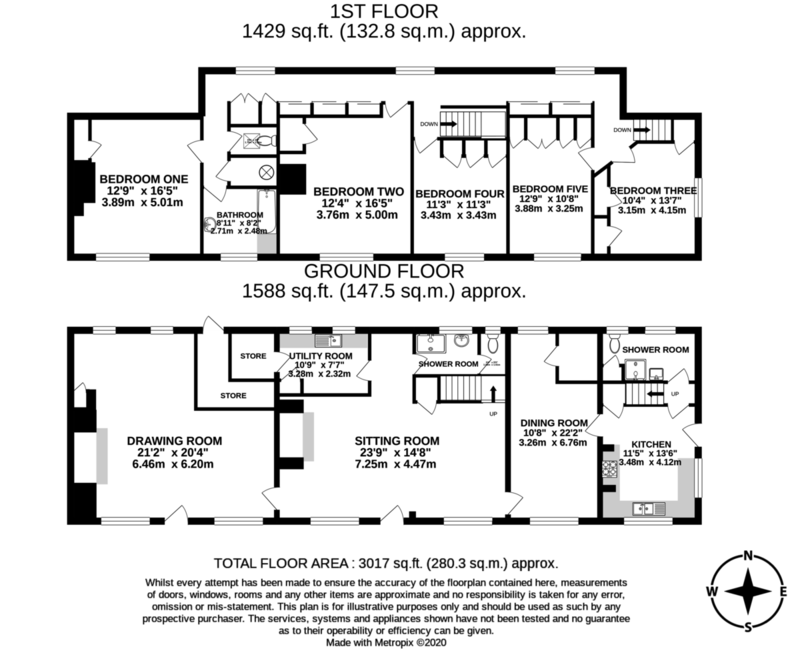 It has five bedrooms, two bath/shower rooms, three generously proportioned reception rooms, as well as a kitchen/breakfast room and utility room. With the majority of the windows facing south, the cottage is surprisingly light, and there is an overall feeling of space. The property is approached off the corner of Water Lane, with the gravelled driveway leading to a parking area and double garage. From the driveway, you enter the cottage into a hall with stairs leading to the first floor. A door to the left leads into the kitchen, which has a range of wooden storage units and worktops, as well as spaces for appliances and a door to the large dining room, which has windows to the front and rear. Next door is the sizeable sitting room, which features an inglenook fireplace, stairs to the first floor, and windows to the front. A passage leads to the utility room and shower/cloakroom. A door opens to the spacious drawing room, which has an inglenook fireplace and windows to the front. On the first floor, there is a very long landing connecting the rooms. On the landing there is a series of display cabinets as well as lovely views of the rear garden. At the far end is the principal bedroom, with four further double bedrooms off the landing, all of which have built-in wardrobes. There is a bathroom and separate cloakroom. Outside, there is a lawned front garden, with a well. There are lawned gardens to the side and rear of the property, with flower and shrub borders. There is a gravel driveway and a double garage, which has twin remotely-operated roller shutter doors, light and power. 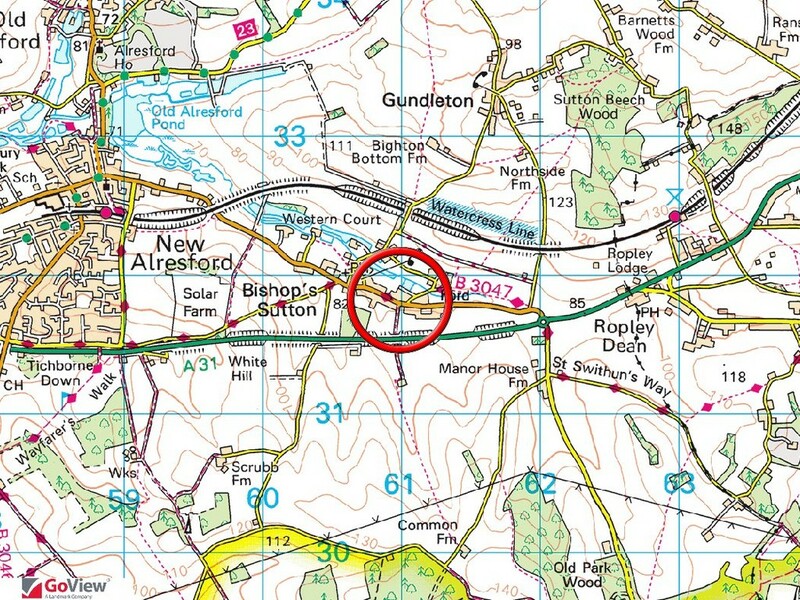 The village of Bishops Sutton is located just 1.5 miles from the beautiful market town of Alresford with its varied mix of independent shops and businesses. 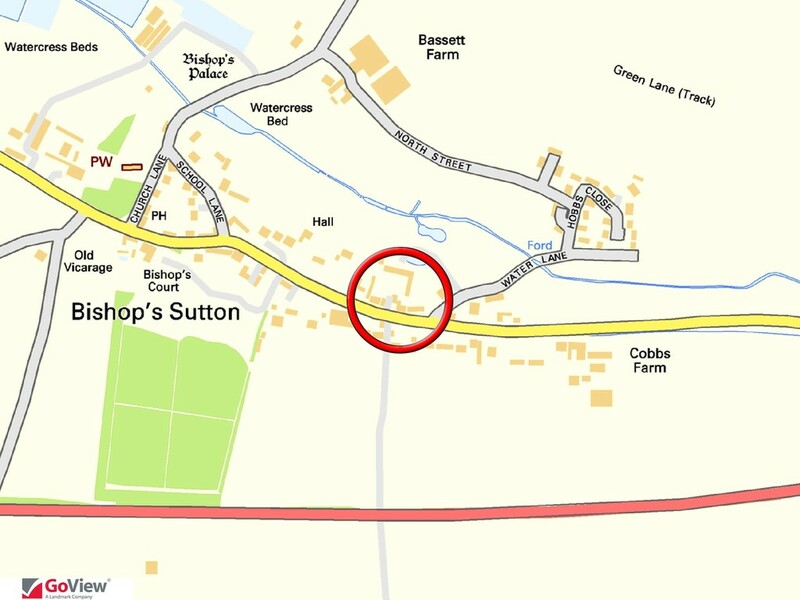 There is a bus service from Bishops Sutton to Alresford, Winchester, Alton and Petersfield. 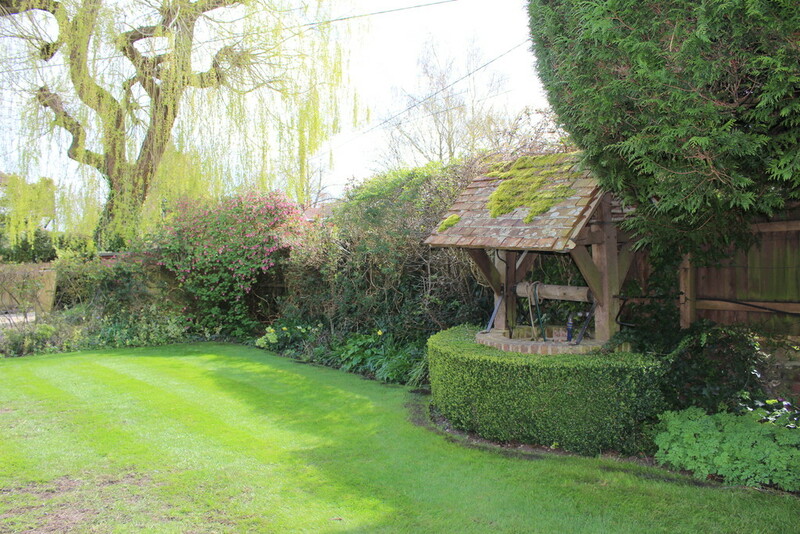 The village is surrounded by lovely Hampshire countryside with a good variety of walks in all directions. 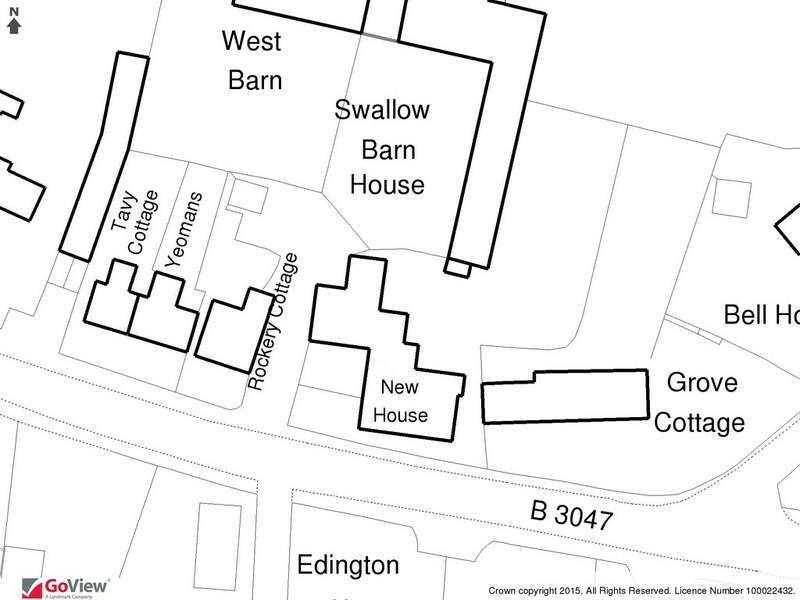 There is an active community in the village centred around the village hall and local pub. SERVICES Mains water and electricity are connected. Oil-fired central heating and a private drainage system.